Boundlessly innovative, lighting design brings form and function together with dazzling results. From bejewelled pendants to the stark lines of a sculptural centrepiece, the art and science of illumination continues to spark awe. Sometimes we find the best inspiration looking back. 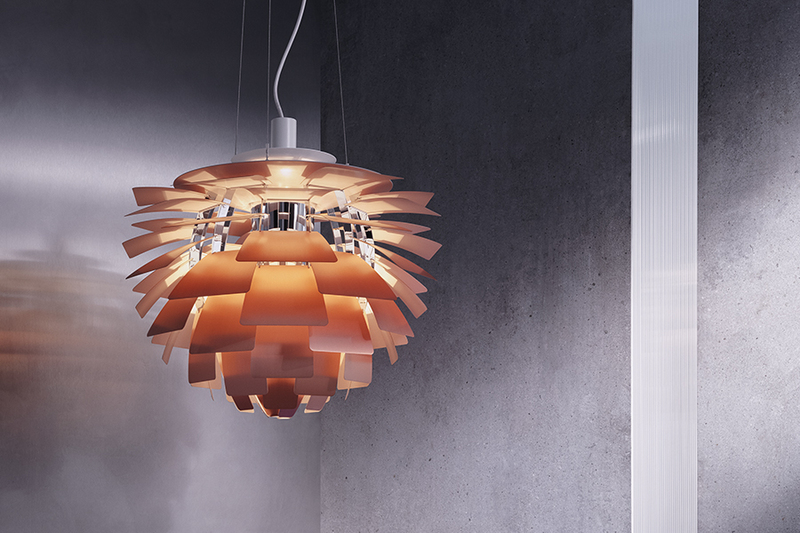 One re-release that demands fresh recognition is Poul Henningsen’s iconic PH Artichoke (bottom). Marking the 125th anniversary of Henningsen’s birth, Danish lighting giants Louis Poulsen have re-issued the pendant in the same copper construction and rose finish as the 1958 original. Featuring 72 precisely positioned leaves with 12 unique rows of six leaves each, the light emits a softly diffused glow, bringing a distinct mid-century warmth to an otherwise highly structured and industrial piece. That the design has been reimagined and reproduced the world over only adds to its 2019 relevance and appeal. Also new from Louis Poulsen is Øivind Slaatto’s ethereal Patera pendant (below), now in silver. 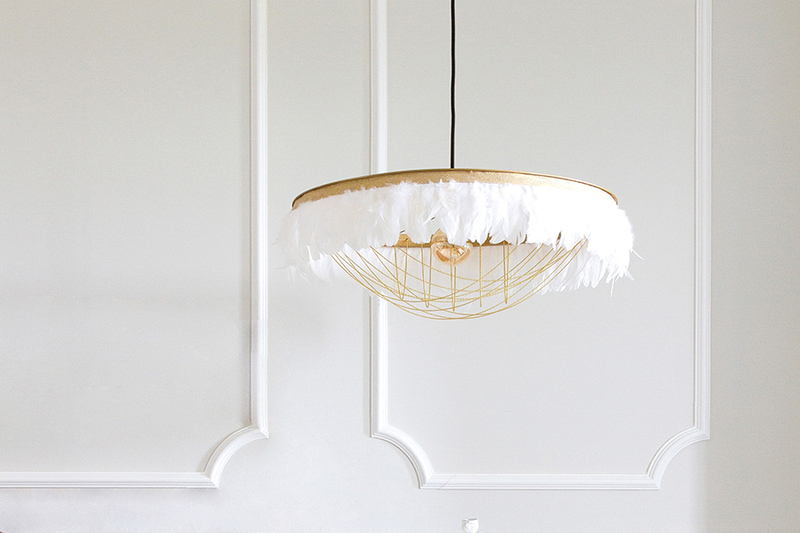 Originally launched back in 2015 in white as a contemporary take on the chandelier, this update takes on board a renewed appetite for rich metallics and shimmering house jewels. It is a bold and decisive move away from minimalism. 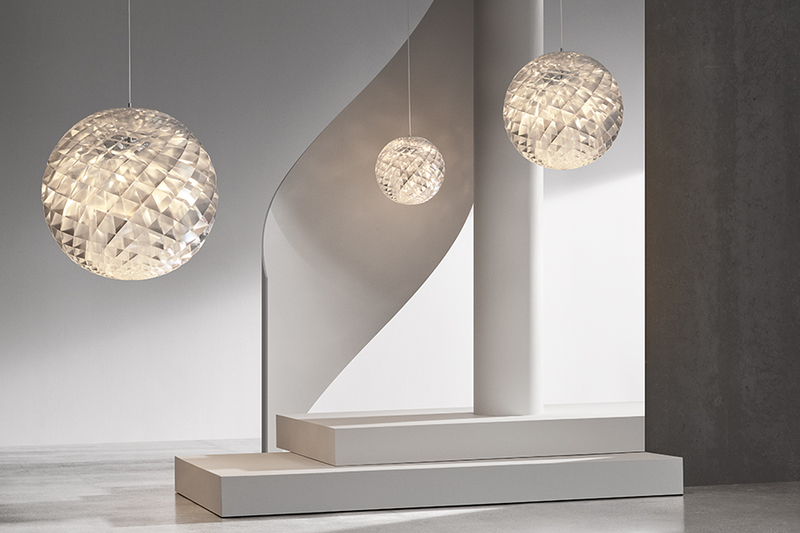 Multifaceted, the light’s reflective profile is eye-catching enough unlit, but flick the switch and its Fibonacci sequence-based structure really shines, creating a mesmerising orb of light. In fact, its 360-degree glare-free illumination is all down to Slaatto’s painstaking planning with geometrics. Who knew mathematics could be so beautiful? Even the most abstract lighting design can take its cue from the natural world. Inspired by the long flat bill of a swordfish, the new Spada pendant from family-run Viennese brand Kolarz offers a gallery-worthy installation of suspended light, especially when grouped together to create intercrossing lines. 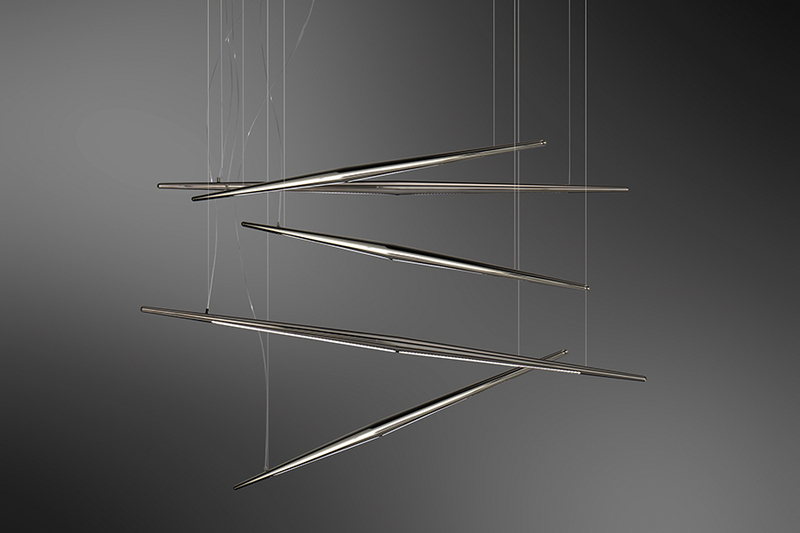 Stark and contemporary, these javelin-like spears seemingly float from the ceiling despite their robust form. They contain a recessed strip of LEDs, which give off a warm white light. Indeed, Spada’s clever interplay of lightness and strength elevates the design above and beyond illumination to sculpture. Isn’t it time we reconsidered strip lighting? Blurring the lines between art and interiors, Portuguese brand InsidherLand presented eight new designs at last month’s MAISON&OBJET, taking visitors through a gallery set up that showed the new releases in their best possible light. 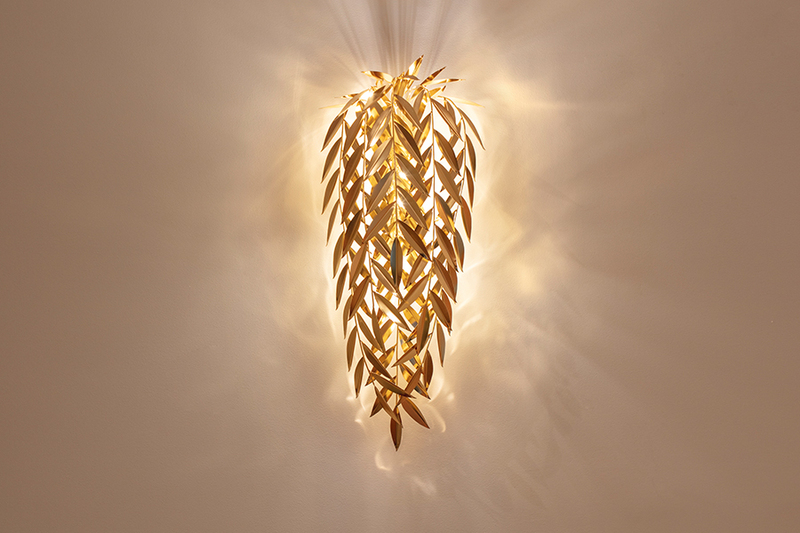 One of those featured was the Azores wall lamp (featured above), an intricate and sculptural affair handcrafted in polished brass with a gold finish. Designer Joana Santos Barbosa took inspiration from a trip to São Miguel and the lush vegetation she found there. The lamp recreates a piece of weeping willow found near a lagoon, its artificial light beautifully mimicking the sunlight piercing through the leaves.